Salvia ‘Hot Lips’ can be grown in any good garden soil and tolerates poor soils and a degree of drought. Plants grown in containers benefit from regular watering and feeding. 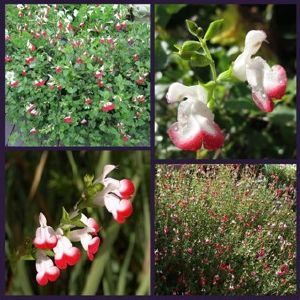 Salvia ‘Hot Lips’ can be grown in a large pot to display on the patio, but is equally at home in the shrub or perennial border. The habit of this shrub is proportional having a very bushy natural habit, eventually attaining a height and spread of 1.5m.